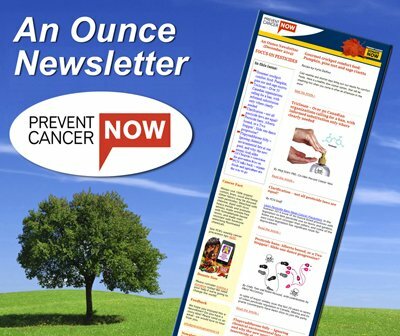 As Prevent Cancer Now advises on its website: Be a Cancer Smart Consumer. Great recommendation but no easy task. We don’t know if that adhesive or paint thinner we buy is made with carcinogens. We don’t know if the can linings inside our soup tins or chemicals on the cash receipts we stuff into our bags are leaching BPA, a chemical known to cause reproductive harm, into our food and onto our fingers. We don’t know if the furniture we put in our homes has hazardous chemicals in the foam that will leach into our air and expose us to chemically hazardous dust. These concerns are magnified for children’s exposure to chemicals in products. Studies consistently show that household dust carries a range of hazardous chemicals, many of which are known to leach out of common household products. Flame retardant chemicals associated with cancer and reproductive harm are often used in polyurethane foam inside our furnishings and in the computer plastic or power cords in our electronic products. These migrate out into our homes and are found in household dust, creating ongoing exposure for adults, kids and pets. Plasticizers associated with hormone disruption and reproductive impacts are found in children’s soft vinyl school supplies and toys – and these too are found in household dust. Hazardous organotin compounds and plasticizers in vinyl flooring are also found in household dust. These are just some examples. So should we vacuum this problem away and hope these hazardous chemicals in our vacuum bags stay inert in landfills? Or do we open the windows and air them out into our communities? The only solution is not to use highly hazardous chemicals in our manufacturing processes and in our products. “OK, great!,” I hear you say. “But dream on! Surely, product manufacturers would not be using these hazardous chemicals if they could avoid them. 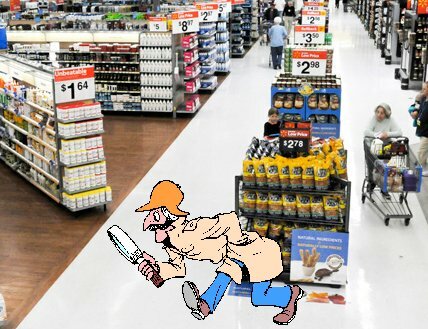 And how could I be a cancer-smart consumer and know how to avoid these hazardous chemicals in products I buy?” Think how easy it would be to download an app that would scan the barcode on each article for the presence of chemicals known or suspected to be carcinogens and reproductive toxins. The reality is we can’t. Not yet anyhow. But we can take action. Here’s how. Go on the website and check the manufacturer’s chemicals policy. Just type in ‘chemicals policy’ or ‘chemical ingredients’ and see if the manufacturer gives you information about their chemicals. Here’s an example: Ms. K. likes Tide detergent. She goes online and finds out that some Tide products do not use dyes or perfumes. But she doesn’t see any more information so she googles Proctor and Gamble, the manufacturer of Tide. After more searching she sees a statement from P&G UK division that chemicals known to persist, bioaccumulate or become toxic are avoided “unless we are confident that we can conduct a sufficiently thorough risk assessment to ensure that their use is safe for humans and the environment.’ While searching for information she discovered that Women’s Voices for the Earth exposed a cancer-causing chemical, 1,4 dioxane, in Tide. Now she is really going to write to Tide to find out if they are revising their chemicals policy or not. Download the Good Guide app and visit their website. The Good Guide has done a lot of the footwork for consumers. They analyze the amount and transparency of data on products and give them a score based on their environmental, social and energy policies. Consumers can go online and filter out what is more important to them. For instance if chemical ingredients are your focus you can filter the score to focus just on that. Monitor campaigning websites and support groups that investigate chemical safety such as The Ecology Center. Their Healthy Stuff site gives great information on product testing and how manufacturers are responding. Other groups to monitor include Breast Cancer Fund, The Campaign for Safe Cosmetics, EWG’s Cosmetics Database, Alliance for Toxic-Free Fire Safety and Healthy Building Network. Ask our government what it is doing to eliminate cancer-causing chemicals in products on store shelves. Ask our government why we do not have public access to information about carcinogens similar to California’s Prop 65. This California law mandates a label on any process or product containing a carcinogen. For more information about California’s right to know Prop 65 read the overview found on Breast Cancer Action Montreal’s website. Find out about the chemicals you work with and see if there is a plan to replace them with safer alternatives. Workers have access to Material Safety Data Sheets (MSDS) which by law they should be trained in using. But is there an MSDS for every chemical you are working with? Would you even know? MSDS gives guidance on how to protect yourself from exposure to hazardous chemicals. But the real question that needs to be aksed is this: what is your company doing to find safer chemicals for priority substances such as carcinogens. Are they setting clear policies with their suppliers so priority hazardous chemicals are removed from the supply chain? Ask the Canadian Cancer Society (CCS) about their policies and get involved. The CCS has a good position on community right to know . So now let’s work together to figure out how to extend this policy to a clear request to manufacturers that they screen all their chemicals and commit to eliminate all known and suspected carcinogens as a priority. We know company leaders are beginning to request full chemical ingredient disclosure from their suppliers and to assess these chemicals for hazards. We know some companies are using chemical screening tools such as the GreenScreen for Safer Chemicals (PCN newsletter Spring 2012 – Taking Our Economy off the Carcinogen Treadmill) and actively searching for safer substitutes. These companies should be acknowledged for their efforts. But to date they are far too few. By taking the steps suggested above, we can help push our economy to safer chemicals. But only through citizen pressure will this happen. Comments most welcome!